The SXT Lite5 ac is a new low cost device in our 802.11ac product lineup.Unit is equipped with powerful 650MHz CPU, 64MB RAM, 10/100Mbps Ethernet port and has 5GHz 16dBi 28 degree beamwidth antenna. RBSXT5HacD2n-US (USA) is factory locked for 2412-2462MHz, 5170-5250MHz and 5725-5835MHz frequencies. This lock can not be removed. 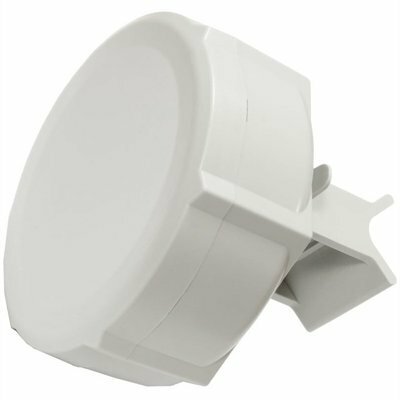 The SXT Lite5 ac is equipped with powerful 650MHz CPU, 64MB RAM, 10/100Mbps Ethernet port and has 5GHz 16dBi 28 degree beamwidth antenna. The SXT Lite5 ac supports 256-QAM modulation and 80MHz channels, so you get more speed per same frequency width as 802.11 devices. It also supports 802.11a/n, Nv2, Nstreme mode and is compatible with all legacy RouterBOARD devices. New industrial wireless chip QCA-9892 provides support for 5/10 MHz channel width for 802.11an standard. RBSXT5HacD2n-US (USA) is factory locked for 2412-2462MHz, 5170-5250MHz and 5725-5835MHz frequencies. This lock can not be removed.